Global India Technologies has extensive experienced PHP developers, Word press Developers to support their client’s success in business with their websites. The complications with the management of the website content that takes a lot time can be reduced if your website is modified according to your requirement. We understand the different types of business requirements to design and develop uniquely according to the requirement to leverage their potential that helps to build significant identity in the market today. 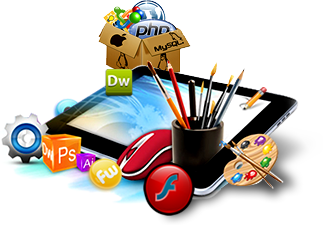 We develop your website loyally understanding the information architecture and emotional engagements towards it. Global India Technologies can keep your business at competitive advantage in the market, with our skilled developers. We take all the complicated scripting work letting you have the design of your likes at your fingertips that gives you ease of use. We are offering PHP Development a widely accepted open source language for server side scripting specially designed for web development that can be simply mixed with html code. We also offer Word press development according to client’s requirement which one of the most popular content management and blogging tool powered by an open source script language PHP and MySQL database. With the increased internet usage in different types of devices with different resolutions such as smart phones and tablets, the necessity to use responsive websites have significantly increased in recent times.